The Great Trail Race is scheduled for Sunday, Oct. 8, and will take runners and mountain bikers on a route from Truckee to Tahoe City. The race will mark the end of the Tahoe Trail Running Series. The finale of Big Blue Adventure’s Tahoe Trail Running Series will take place this weekend with the running of the second annual Great Trail Race. 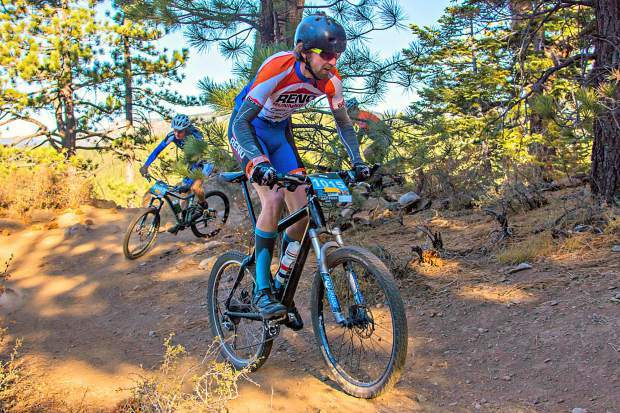 The race will take competitors on a point-to-point route from Truckee to Tahoe City, with options to either run or bike the two separate courses. 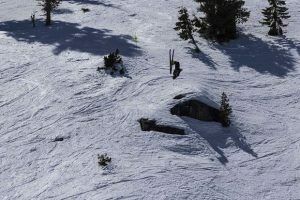 The race will mark an end to Big Blue Adventure’s trail running season, and will benefit Tahoe Nordic Search & Rescue, Inc. Last year’s race raised roughly $2,000 for Tahoe Nordic Search & Rescue. Rickards said last year’s race had roughly 100 competitors, with this year’s event already pulling in around 230 athletes along with dozens more expected to sign up by race day on Sunday, Oct. 8. The race will be broken down into two routes, the longer 21.55-mile Elite Course and the 17.9 Classic course, with options to run or mountain bike either distance. Racing begins with the bikes leaving the start line at the 06 Fire Road at 9 a.m. near Truckee. The runners begin 10 minutes later. The Classic Course will feature a route through the Tahoe National Forest, while the Elite Course meanders further south around Painted Rock, and then to the finish line at Highlands Community Center in Tahoe City. The race will also be the last of Big Blue Adventure’s events for the year, with the race organizers putting on dozens of events from spring through fall, including biking, running, triathlons, paddleboarding, and swimming. Rickards said Big Blue Adventure already has registration open for next year’s Tahoe Trail Running Series, along with plans of organizing even more events for 2018. Registration for the event is open until 8 p.m. on Saturday, Oct. 7, with onsite registration available the morning before the races. There is also a category for a two-person team, with one person running and the other biking. Registration costs between $65 and $80 for individual racers, depending on distance and age of competitor. There will also be shuttles provided before the race from Tahoe City to the start line, allowing competitors to park near the finish area. An awards ceremony will follow the race. 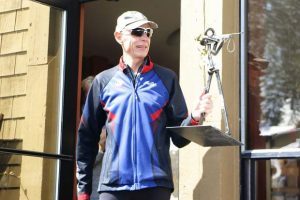 With the race being the finale of the Tahoe Trail Running Series, the Tahoe Truckee Running Championship will also be decided, with winners announced later due to the series’ point system. The racers top three finishes throughout the series will be scored, with additional races serving as a tiebreaker if necessary. For more information or to register visit TahoeTrailRunning.com.